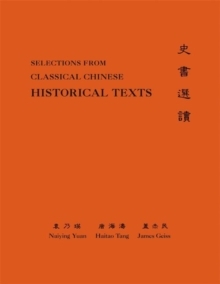 Classical Chinese is the most comprehensive and authoritative textbook on the language, literature, philosophy, history, and religion of premodern China. Rigorously and extensively field-tested and fine-tuned for years in classroom settings, it sets a new standard for the field. 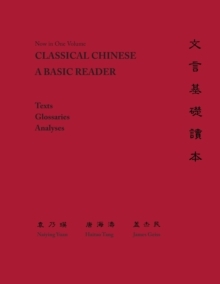 Originally published in three volumes, Classical Chinese appears here in one convenient and easy-to-use volume. 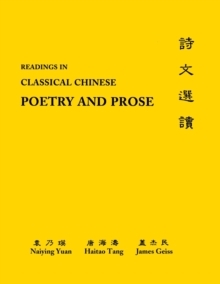 Classical Chinese contains forty selections from texts written between the fifth century BC and the first century AD, during which the classical Chinese language was fully developed and standardized. 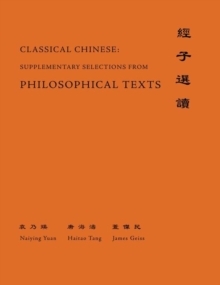 These passages, which express key themes in Chinese humor, wit, wisdom, moral conviction, and political ideals, are arranged in the order of complexity of the grammatical patterns they exemplify. Uniquely, each text is translated into both modern Chinese and English. A detailed glossary defines unfamiliar terms and names found in the first part of the textbook, and the last section features in-depth grammatical analyses, in which every sentence in the main selections is fully diagrammed to show the grammatical relations between their various parts. Corresponding exercises review and reinforce the materials. Four supplementary volumes--an introduction to grammar, readings in poetry and prose, selected historical texts, and selected philosophical texts--are separately available for use in conjunction with this basic reader. 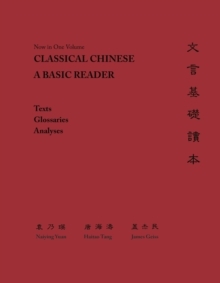 Classical Chinese provides a definitive resource for students and instructors of classical Chinese language and culture.